These tips from FOCUS will help you promote healthy sleep habits in your home! 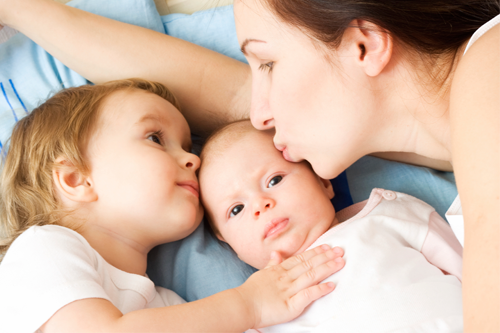 Healthy sleep is an important part of keeping your family functioning at their best. Poor sleep can have a large impact on children and often interferes with muscle repair, cell regeneration, and brain hormone level regulation – which effects mood, appetite, and ability to focus. Losing sleep can also increase obesity, reduce ability to learn, and decrease school performance. School performance often improves when a child develops healthy sleep habits. Toddlers (1-3 years) need about 12-14 hours of sleep in a 24-hour period. Preschoolers (3-5 years) need about 11-13 hours of sleep each night. School-age children (5-11 years) need about 10-11 hours of sleep each night. Adolescents (12-18 years) need about 9 ¼ hours of sleep each night. Adults need about 8 ¼ hours of sleep. Maintain a regular sleep schedule. Wake-up and go-to-sleep at approximately the same time each day, including weekends and holidays. ​Make child’s bedroom conducive to sleep – dark, cool and quiet. Napping should be developmentally appropriate. ​Naps should not occur too close to bedtime, avoid naps after 3 pm. Children generally do not require naps after the age of five or six. For older children, teens and adults, napping during the day should be avoided. ​It’s okay to let teens sleep in on the weekend, but no more than 2 or 3 hours later than their usual weekday wake-up time. Spend time outside each day to help strengthen the body’s internal clock. Regular exercise during the day can help children, teens and parents sleep better. Keep children away from caffeine. Keep in mind hidden sources of caffeine: chocolate, candy, soda, energy drinks, energy bars, coffee drinks and desserts. Avoid arguments just before bedtime. For families with parental military deployment, consider audio recording favorite stories or songs that can be played as part of the bedtime ritual while parent is away.